KDM Productions’ Kevin Mauch Produced and Directed a music video for local artist, Mark Mitten. The song is called “Four Horsemen” and features an apocalyptic theme. “Mark approached me in late 2010 to Direct his next video, which he wanted to do for a song he wrote for one my short films called “Pour Me“, says Kevin. “This song, Four Horsemen, has a catchy, acoustic reverence that I enjoy, so I was certainly interested. Mark agreed to let me take some time and come up with a concept that brings a third dimension to the song. I went back and forth with Mark over 2011 before finalizing the script and having a story I wanted to tell. It’s a bit edgy and some will even consider it controversial, but I think it touches on a topic that needs addressed even though it’s uncomfortable.” The music video for “Four Horsemen” plays more like a short film, running just under 10 minutes and containing narrative scenes by Denver actors Brock Benson, Rick Yaconis, Jim Forbes and Elizabeth Masters. “It’s more like a Michael Jackson music video where the music is woven throughout a narrative story…without the dance numbers.”, says Kevin. UPDATE: Due to an unforeseen delay in the VFX, it’s taking a little longer to wrap up the post-production. Stay tuned as we’re diligently working on getting things back on track. It will be worth the wait as the VFX we’ve seen so far are coming out better than anticipated! The Roaring Success Radio Hour. On August 22, 2012, KDM Productions’ Kevin Mauch had the privilege to spend an hour on the air with his long-time friend and colleague, Paul Neal Rohrer, host of the Roaring Success Radio Hour. It was an hour filled with details on how Kevin got into the industry of film and video production, a discussion on his latest short film, “Pour Me” and what’s next for the Colorado Native. In case you missed it, you can listen to the archive here: Roaring Success Radio Hour. As part of the privilege of being on Paul’s show, “Pour Me” has been placed on this site so you can watch it in its entirety (22 minutes) for FREE! 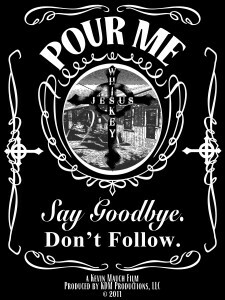 Just head one page over to “Pour Me” and click play on the video that loads at the top of the page (give it a few seconds to load depending on your connection speed). KDM Productions’ Kevin Mauch spends some time in “Tom’s Wild Life”. It’s been a busy 2012! KDM Productions’ Kevin Mauch was brought on board to be a part of the production team for “Tom’s Wild Life”, which airs on GAC (Great American Country). The show follows the antics of Tom McMillan and his wife Jacque as they balance their lives between running their Outfitting business near Stafford, KS and rub elbows with some of country music’s hottest artists. Locations included Tom’s ranch in Kansas, Las Vegas (including filming at the Country Christmas Expo and the American Country Awards), Orlando and Colorado. If you missed any episodes, or don’t get GAC, you can watch all episodes on GAC’s website. This year, we received TWO Platinum Awards, the highest award presented by the EMPixx Awards, which is sponsored by the American Pixel Academy. The Empixx Awards was created by David E. Carter, who founded the Telly® Awards and was editor of the Creativity Annual. KDM Productions also won two Telly Awards this year (details below). 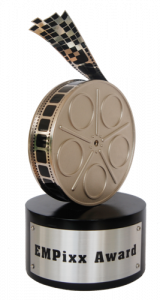 The projects which received these awards are KDM Productions’ “Pour Me”, a short film produced and directed by owner, Kevin Mauch. The 2nd award is for “The Cleaning”, a Delta Dental of Colorado promotional piece targeted to children. “The Cleaning”, produced and edited by KDM Productions’ Kevin Mauch, and directed by Worker Studios’ Michael Hemschoot (who also did the animation and vfx) can be seen HERE. More info on “The Cleaning” can be found below in our previous posts as it’s garnered a lot of buzz for its use of live-action blended with animation, to teach children the benefits of eating healthy and taking care of their teeth through proper oral health regimens. Each month, a Colorado filmmaker is interviewed for the Pikes Peak Library District’s 1/2 hour program “Colorado Cinema Spotlight”. July’s featured artist is our very own Kevin Mauch. In the interview, Kevin discusses how he got his start in the film industry, his inspirations and, of course, his latest film project, “Pour Me”, a 22-minute dramatic short film about an alcoholic who’s family forces him to give up the bottle for the Church. “Pour Me” is currently in consideration at a number of national film festivals. Check back often for updates on the film’s progress on the festival circuit. You can also visit the film’s page here on our site for more details on the projects. In the meantime, SEE THE INTERVIEW HERE. The Winners of the 31st Annual Telly Awards have been announced. KDM Productions is proud to announce that “The Cleaning”, produced for Delta Dental of Colorado, has won a Silver Telly Award in the “Academic Use” category and a Bronze Telly Award in the “Use of Animation” category. With nearly 11,000 entries from all 50 states & numerous countries, this year’s Telly Awards was one of the most competitive in the long history of the program. A judging panel of over 500 accomplished industry professionals, each a past Winner of a Silver Telly and a member of The Silver Telly Council, judged the competition, upholding the historical standard of excellence that Telly represents. 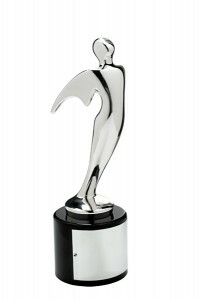 Less than 10% of entries are chosen as Winners of a Silver Telly, their highest honor. Less than 25% of entries are awarded a Bronze Telly. For more info on the Telly Awards, please visit their official site. For more information on “The Cleaning”, please scroll down to read a recent update on the project. “Pour Me” has been completed! “Pour Me” is a short film that was shot in the late summer of 2010 in Lamar, CO. You can find more detail about the film on the “Pour Me” page of this site. The film was premiered at the Nomad Theatre in Boulder, CO as part of the ICCE showcase. The film is also in consideration at a number of national film festivals, so check back often for updates! “The Cleaning” is a short, live-action/animation promotional film for Delta Dental of Colorado. It’s targeted to Kindergarten-2nd Graders. The Tooth Fairy calls on her trusty sidekick, Chopper (Delta Dental of Colorado’s Mascot), to do a clean sweep throughout the house after she finds a rotten tooth left by a young boy. Instead of money, the boy receives a lesson that only the Tooth Fairy and Chopper can teach. This project will be sent all over the state of Colorado, along with a CD-Rom filled with lesson plans, coloring pages and more, to school districts and dental offices. This project was produced by KDM Production in English and natively in Spanish as well to hit the largest core of Delta Dental’s target audience. Over 1,000 copies have been distributed across the state.